GARAGE..........SOUTH FACING REAR GARDEN........CLOSE TO CHEPSTOW PARK..........Homes on Web are absolutely delighted to announce to the market thisThree Bedroom Semi Detached family home located in a quiet cul-de-sac in one of the most sought after areas in MK. With its close proximity to all local amenities and home to the renowned picturesque Chepstow Park, this property ticks all of the boxes. 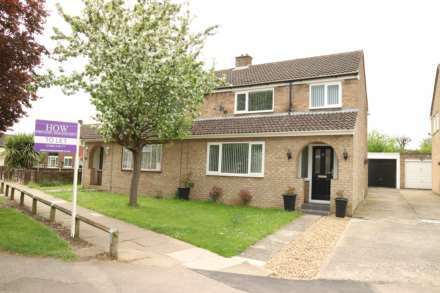 This property briefly comprises of; Entrance hall, kitchen, lounge. On the first floor there are three bedrooms and a family bathroom. Outside you will find a landscaped south facing rear garden perfect for entertaining. To the front of the property there is a block paved driveway leading to a single garage, along with ample visitor parking spaces opposite. Internal viewings are highly recommended to fully appreciate the accommodation on offer. AGENTS NOTE. Declaration of interest. Under section 21 of the Estate Agent Act 1979, we hereby declare a personal interest in the sale of this property. The vendor is connected to Homes on Web Ltd. Double glazed front door. Stairs rising to first floor accommodation. Laminate flooring. Radiator. Door leading to kitchen and lounge/diner. Double glazed window to rear. Under stairs storage cupboard. Double glazed doors leading to rear garden. Fitted in a range of wall and base units with complementary work surfaces. One and a half bowl stainless steel sink and drainer with mixer tap. Tiled to splashback areas. Built in fridge freezer. Plumbing for washing machine. Wall mounted boiler. Radiator. Double glazed window to front. Airing cupboard. Access to loft access. Doors leading to all first floor accommodation. Up and over doors. Power and light. Mainly laid to lawn. Decked area. Well positioned trees creating privacy. Bark boarders. Door leading to garage. Stones. Sleepers with flower beds. Outside tap. Pathway leading to front door. Block paved driveway with ample visitor parking spaces opposite.